If you need an API that will convert Office documents to PDF and other file formats quickly and easily, look no further. Integrating PrizmDoc's conversion API into your website or application gives it the ability to convert Word to PDF, PowerPoint to PDF, or any Office document to TIFF, PNG, JPEG, or SVG. This allows your users to share access to files without requiring additional software downloads. PrizmDoc's conversion API allows you to create new document formats with just a few simple steps. Working straight from your website or application, users never have to leave your platform to access or work with files. Our API's accuracy preserves document data ensuring a seamless experience. Only need a cloud-based conversion API? 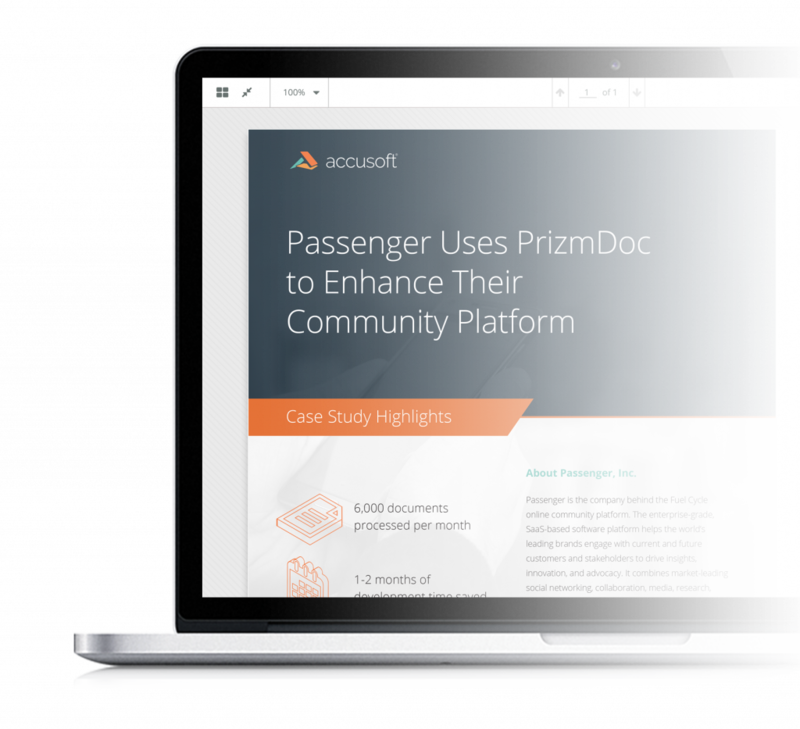 Get set up and be converting your first Excel file in minutes with PrizmDoc's cloud-hosted document conversion API.